Nedap Electronic Sow Feeding automatically provides each sow in the group with the right amount of feed. 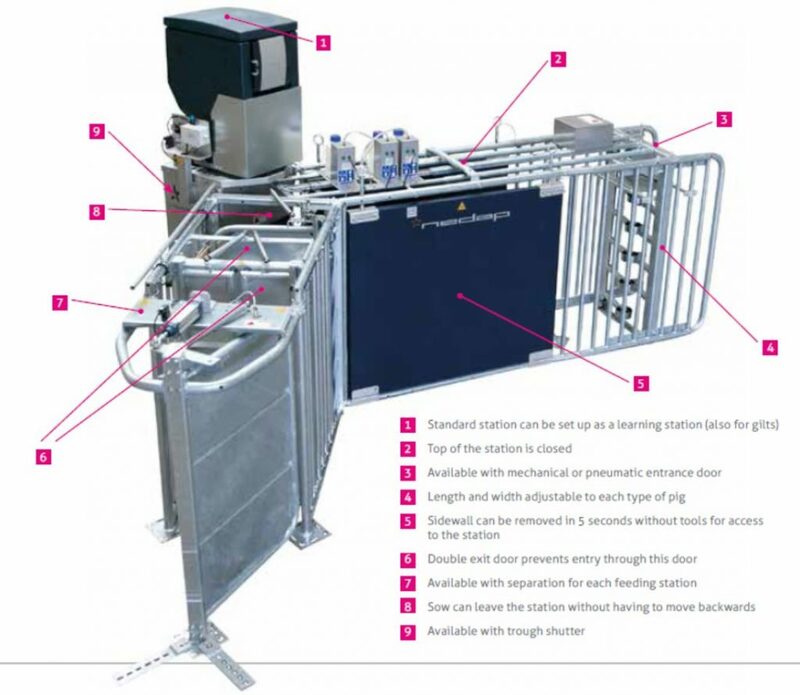 Each sow can take her individual ration in a safe and comfortable environment. Saves on labour time and costs.